At just 26 years old, Benny Oschmann has already worked on numerous major projects in both solo and collaborative roles. The German composer’s music has been featured in franchises such as Hitman, Angry Birds, Toy Story, and The Settlers. He has also gained acclaim for his rich melodic scores to The Raven and The Book of Unwritten Tales, and is currently recording the Kickstarter-funded score for The Book of Unwritten Tales 2 with full orchestra. In this interview, Oschmann reflects on his musical background and philosophy, noting how he prefers melodically-driven scores and human performances to the epic-style scores. He discusses his experiences writing his solo soundtracks in detail, before reflecting on his experiences composing and recording soundtracks as part of the German music production company Dynamedion. Chris: Benny Oschmann, many thanks for taking the time to talk to us today. I’m startled to learn that a composer younger than me has already worked on so many big projects. What do you feel are the keys to your success? What education, experiences, and principles helped you get to where you are today? Benny Oschmann: Many thanks for this nice introduction, Chris. It’s a pleasure to do this interview. I’ve always been surrounded by music since my early childhood. My parents both played in the local concert band and my dad has always been a big soundtrack fan. I grew up in the nineties, when all the successful Disney movies with the brilliant music of Alan Menken came out (The Little Mermaid, Beauty and the Beast, Aladdin etc.). The melodic writing, colourful orchestrations and dramatic structures of these scores influenced me a lot. Later I discovered the music of John Williams, Jerry Goldsmith, and all the geniuses of film music. While I got more and more interested in the theory of music, I also played the trumpet in various ensembles and orchestras. This greatly helped me to understand how an orchestra works and what the strengths and weaknesses of the individual instruments are. After high school, I studied music theory and composition at the university and finally graduated last year. Although studying music doesn’t really teach you how to compose, it broadens your mind a lot and you get to know all kinds of music, at least in the “classical” field. Chris: The Book of Unwritten Tales, among the many other soundtracks featured in your demo reel, shows that you are a rare breed of composer: someone who can produce rich orchestrations and highlight incredible melodies both at the same time. Could you discuss more about your philosophy to creating orchestral scores? What game and film composers do you admire in this score? Is it same to assume that you’re more of a fan of Williams than Zimmer? Benny Oschmann: Many thanks for the kind words. Well, I think one always absorbs what one likes. And in my case it’s exactly what you described above. I’m a big fan of the scores from the 80s and 90s, especially from composers such as John Williams, Jerry Goldsmith, Alan Silvestri, Alan Menken and James Horner. I’m really crazy about melodies and colourful orchestrations, and I don’t like the way film and game music changed over the last years. It doesn’t always have to be a melody, but there have to be some elements (musical anchors) that the listener can stick to. Instead a lot of modern scores are just a collection of small textures like minor chord swells, strings ostinatos, low drones etc., which become pretty boring after a while. This leads to pale, convertible and anonymous scores and that really annoys me. That said, there are of course a few great exceptions, like the brilliant scores by John Powell. Also, I don’t wanna say that the minimal approach that a lot of modern scores take, is bad in general: I’m a big fan of the Matrix scores, for example. However, I think it needs a lot of expertise to make it work musically. 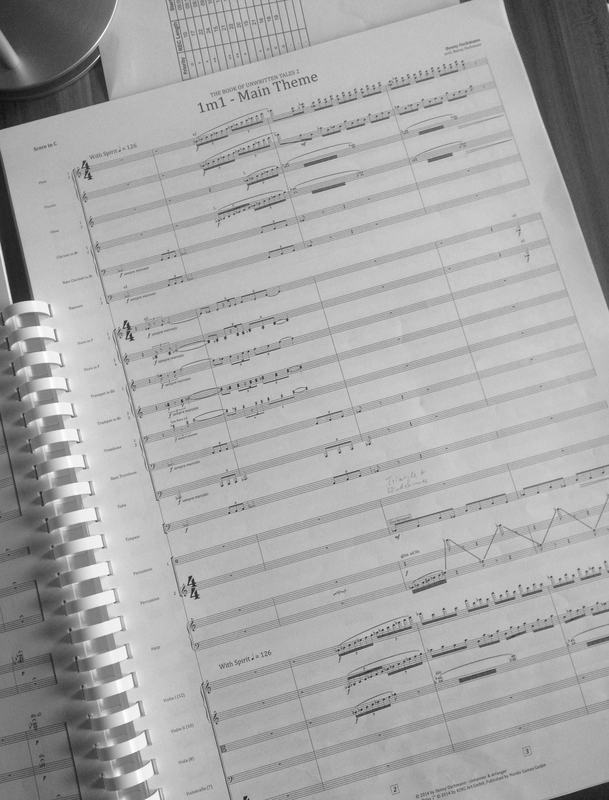 It’s true that I feel more attracted to the traditional style of John Williams then to the hip Epic/Trailer style scores. To some extent a lot of Hans Zimmer’s more recent music falls into that second category (the Batman trilogy, Man of Steel), but he has also composed a lot of scores I really adore (The Lion King, The Holiday, Backdraft). Chris: The Book of Unwritten Tales really exposed your name to audiences. Could you share your experiences creating your first big score on this title? How did you ensure the music appealed to listeners and drew them into the adventure? Benny Oschmann: Actually The Book of Unwritten Tales was my first commercial project ever. I just finished high school, when the developer KING Art Games contacted me and asked me if I would like to compose the music for their adventure game. I think they heard some of my early composition attempts back then that I posted on a forum. Of course I agreed and was hired to write the soundtrack. It was a big challenge, as KING Art wanted a very melodic and catchy soundtrack spoofing all kinds all the famous fantasy movies and games like The Lord of the Rings, Harry Potter, Star Wars, Indiana Jones, etc. A lot of (Western) soundtracks at this time were only aiming for a bold, serious and epic sound, but were lacking musical substance. We wanted to counteract that and make a soundtrack that was fun and entertaining. The music, according to the game’s setting, is very colourful and diverse. Sometimes it is whimsical and playful, at other times it has more of a classical adventure feeling. I think this diversity is one of the reasons why players liked it so much. Chris: Through Kickstarter, you recently secured a sequel for the title. Could you discuss your ideas for the sequel and how it will compare to the original? 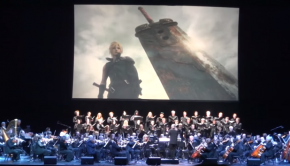 How will having the opportunity to record with an orchestra, thanks to the stretch goals, help enhance the final product? Benny Oschmann: Musically, the sequel is a more mature work compared to the original. We still have a lot of humour in the music, but because we have the chance to record with a real orchestra, the music is grander and more symphonic. Besides the new themes, the great thing for me was to revisit some of the old themes and give them new arrangements. For example, the music for the little gnome Wilbur in The Book of Unwritten Tales was based a lot on the technophiliac attribute of the gnomes and this was heavily reflected in the music. In the sequel, Wilbur now is a wizard and his music has a completely new arrangement without the technical attributes, but instead with more magical elements. For the player the orchestra recording leads to an improved sensation while playing. When the music is played by almost 70 professional musicians, it creates an emotionality that can’t be imitated even with the best digital orchestra samples. The purely digital product, a video game, thereby gains a human emotional touch that breathes additional life into it. Chris: Also on your demo reel are the incredible main themes for Gladius: Spectacles of War and Dragon’s Prophet. Could you elaborate further on how you approached these compositions to capture the grand worlds and rich mythology of these Korean MMORPGs? Benny Oschmann: I was aiming for a grand and bold sound on these projects. The structure, as well as the orchestration, is a bit simpler compared to projects like The Book of Unwritten Tales. There are a lot of suspended brass chords and the melodies are usually doubled with a lot of instruments to make the sound more thick and bold. Also the harmonies are more serious and dramatic. I found a lot of inspiration for these tracks in Eastern game music, especially in Shiro Hamaguchi’s brilliant orchestra arrangements of the Final Fantasy music, which I absolutely adore. 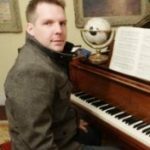 Chris: While you are a successful solo composer, much of your work in the industry has been written in collaboration with Dynamedion on hit video game franchises. Could you discuss what it is like to work with Dynamedion? What is your place in the team? 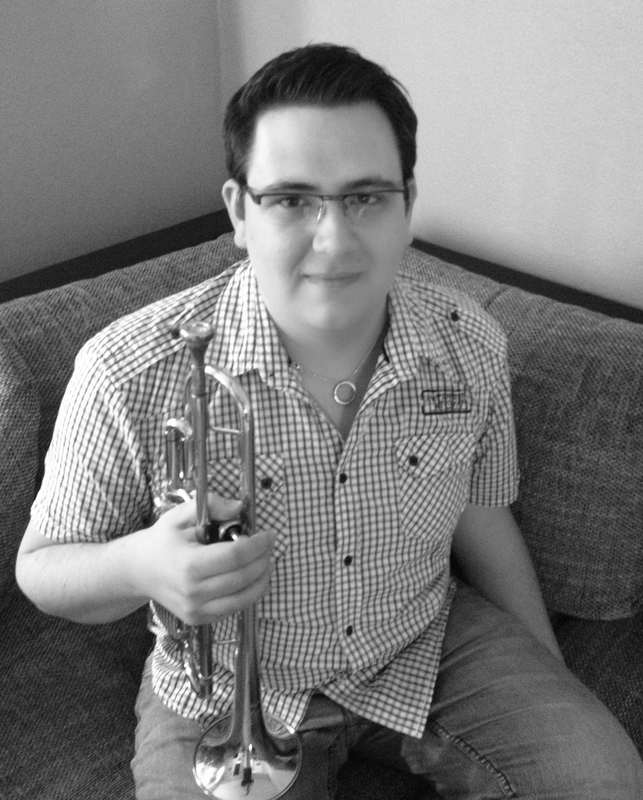 Benny Oschmann: I joined Dynamedion in 2009, when the company was searching for additional composers for a big project. I think my advantage back then was that I could orchestrate my own music, because I had some experience in orchestration. My first bigger project with Dynamedion was The Settlers 7: Paths to a Kingdom, for which I composed and orchestrated most of the cutscenes. 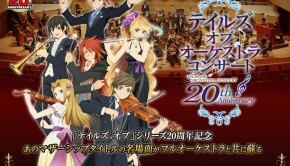 It was a great experience, because I never had worked in a team of composers before. Although we’re all working independently in our own studios, we will discuss the concept, musical style, themes and motives, etc. 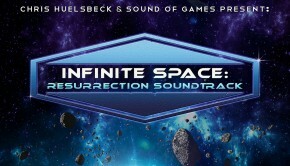 beforehand to make sure that the soundtrack will be coherent. It’s really fun to take the themes from your colleagues and incorporate them into your own compositions. We have a lead composer on every project who’ll handout the cues to the individual composers. The lead composer will also take care that all the composers deliver their cues according to the schedule and that the individual tracks don’t differ too much in style. Most of the time Tilman Sillescu, whom I really appreciate both on a musical and personal level, handles this role. Chris: On many of Dynamedion’s titles, you were able to record with top orchestras such as the FILMharmonic and Brandenburg State. Could you discuss your involvement in these sessions? How did help to streamline the company’s recordings? Benny Oschmann: For orchestral recordings, I usually sit in the booth and listen carefully to the mix. David Christiansen, our brilliant session producer, comments on the performance of the orchestra and tracks down issues such as intonation problems, wrong notes, uneven articulations etc. From time to time, I’ll make suggestions too, but I’m trying to hold back on cues I didn’t work on. Otherwise it’s always good to have another pair of ears. When my own compositions are recorded, I become more active and I will adjust things, if something doesn’t work. Chris: During your initial years at Dynamedion, you worked on hit video game franchises such as The Settlers, Drakensang, Kinect, and even Toy Story. What would be the fondest highlights for you? Which projects do you think you made the most substantial impact in the industry? Benny Oschmann: Personally, I enjoyed Kinect Rush: A Disney Pixar Adventure a lot. I think the game wasn’t a huge success, but I’m kinda proud of the score, because the whole score, which lasts over 80 minutes, was recorded completely live. The game unites the worlds of all the great Pixar movies, like Toy Story, Up, Ratatouille, Cars, etc. and they all have their unique style of music. 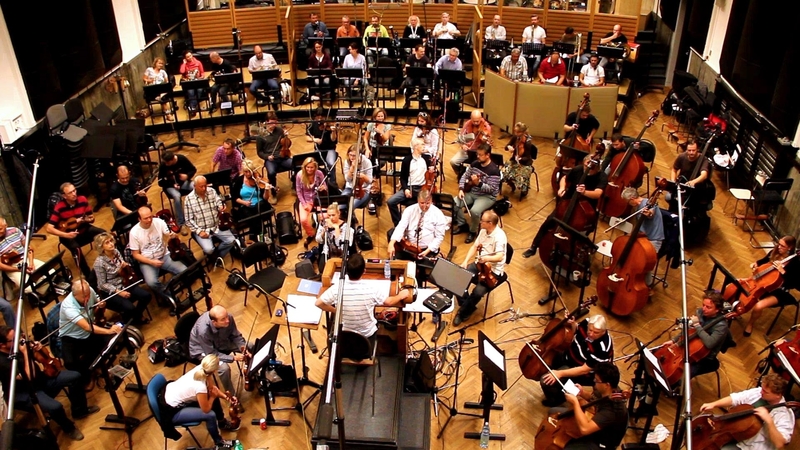 We recorded a big orchestra (FILMharmonic Orchestra Prague), a Big Band (hr-Bigband) and various soloists for this project. Another certain highlight for me was that I had the great pleasure to arrange the original Star Wars themes by John Williams for the Angry Birds Star Wars franchise. Chris: The Angry Birds franchise has proved a smash-hit. Could you tell us about your experiences with Angry Birds: Star Wars II and Angry Birds Toons? Were there many opportunities to express your own ideas or was these titles scored closely to specifications? Benny Oschmann: It was a great experience to work on the Angry Birds franchise. On Angry Birds: Star Wars II the direction of the music was pretty clear. Rovio wanted me to take the original John Williams themes and adapt them to the Angry Birds world. As I said before, it was a great honor to work with the original themes, but there was clearly no space for own ideas. It was a completely different issue in case of Angry Birds Toons. I was responsible for the score of the pilot episode “Chuck Time” of the series (see below) and we developed the music concept and the musical style in this episode from scratch. Basically it was a lot of the good old Carl Stalling/Mickey Mousing style, combined with Balkan elements. This music concept was used throughout all the later episodes too, but a lot of different styles were added. I really love to work on this show, because the variety of the musical material is so great. I also did the intro theme for the show, which uses Ari Pulkkinen’s original Angry Birds theme. Chris: You were also part of the ensemble team for Hitman: Absolution. Many players, myself included, preferred the earlier soundtracks to this series and felt music was used too transiently in this one. Could you tell us more about the direction of the soundtrack for this game and how you personally feel about the music? Benny Oschmann: I can’t really say a lot to this question, because Dynamedion was only composing additional music for the game. Therefore, we were not really involved into the creation of the concept for the score. We followed a certain style guide, which was a lot about the interactive part of the music. I haven’t played the game yet, so I don’t know how the score works in the final game. Chris: Some of your most mature compositions to date were featured on The Raven. How did you create the period feel and mysterious undertones needed for this title? What was it like to record a solo score with a top orchestra? Benny Oschmann: The Raven was one of my most favourite projects to date, because it was so different in terms of the musical style. I did a lot of research before I started with the first tracks, because the game’s setting was crying out for a period score. I listened to the great scores from the 50s and 60s by composers like Bernard Herrmann, Alfred Newman, and Henry Mancini and I actually got so inspired that I wrote all the imporant themes in only one week. Although the game had a classic crime story, it was told in a light, family kind of way, so besides the mysterious undertones there was also a lot of room for beautiful themes and some comedy elements. Chris: Beyond The Unwritten Tales 2, we’re interested to hear what else is coming up from you. Is there anything exciting on the horizon? Benny Oschmann: I’ve done quite a lot of arrangements for various film music concerts in the last few months. For example, my arrangement of “Always Look on the Bright Side of Life“ was featured on this year’s Hollywood in Vienna concert, which I’m quite proud of. There will be a concert on November 28 in Bremen (Germany), where the wonderful Landesjugendorchester Bremen will premier selections from my own work, namely the overture from “The Raven“ and a large symphonic suite from The Book of Unwritten Tales 2. Chris: At 26 years old, you still have a huge career ahead of you. Could you discuss your aims for the future in game scoring, film scoring, and otherwise? As a graduate of the Musikakademia Kassel, you are extensively classically-trained. Is it an ambition of yours to one day create your own art music, or do you prefer sticking in the soundtrack field? Do you have any further comments or messages for those listening to this? Benny Oschmann: I want to tell stories with my music, so I’m very interested in games and films, no matter of the genre, that have a great story. I’m always looking forward to new challenges, as long as the project is interesting. Concerning art music, I have no such plans yet, but I wouldn’t exclude that possibility for the future. I don’t have anything to add, but I want to thank all the fans and listeners, who actually care about game music and appreciate the work of my colleagues and me. Many thanks for your great work on Game Music Online and the interview opportunity. Posted on October 17, 2014 by Chris Greening. Last modified on October 17, 2014.